India has a rich and diverse philosophical tradition dating back to the composition of the Upanishads in the later Vedic period. According to Radhakrishnan, the earlier Upanisads constitute "the earliest philosophy are identified as a orthodox or non-orthodox depending on whether they regasrd the Veda as an infallible source of knowledge. There are six schools of orthodox Hindu philosophy and three herterodox schools. The orthodox are Nyaya, Vaisesika, Samkhya, Toga, Purva mimamsa and Vedanta. The Heterodox are Jain, Buddhist and Materialist. However, Vidyaranaya classifies Indian philosophy into sixteen schools where he includes schools belonging to Saiva and Rasecevara thought with others. 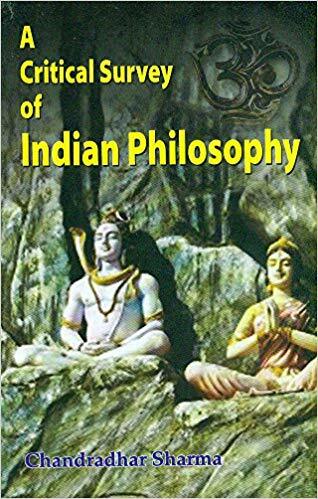 The main schools of Indian philosophy were formalized chiefly between 1000 BC to the early centuries AD. Subsequent centuries produced commentaries and reformulations continuing upto as late as the 20th century by Aurobindo and Prabhupada among others. Competition and intergration between the various schools was intense during their formative years, especially between 800 BC to 200 AD. Some like the Jain, Buddhist, Shaiva and Advita schools survived, while other like Samkhya and Ajivika did not, either being assimilated or going extinct. The Sanskrit term for "philosopher" is darsanika, one who is familiar with the systems of philosophy, or darceanas. This book offers a comprehensive description of the applications of various fields in this subject. The book will be appropriate as a guide for students.